The Crypto movie with Hollywood star, Kurt Russell debuted on Friday April 12th in New York City. The movie is seen as the first professional movie covering the cryptocurrency space. The movie features a young man caught in a conflict between Wall Street, the Russian mob, Bitcoin and lots of guns. The storyline looks action packed, however the movie could be a hit or miss at this point and according to some reviews it seems to be more of a miss. Accoding to the LA Times, some of the first reviews are mixed at best. 'If you gotta watch it then watch it with full concentration. It helps to understand the plot when you are a crypto buff', another review reads. If you want to see how much some of the crew members behind 'Crypto,' know about the actual cryptocurrency universe, take a look at the video below. 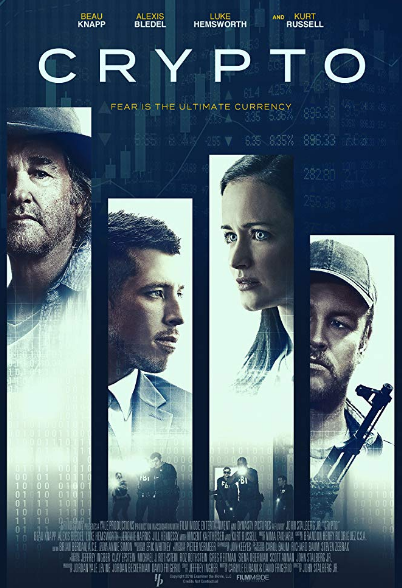 The movie shows plenty of cryptocurrencies, with BTC trading at roughly $7,400 in the trailer. If you end up watching the movie in theatres any time soon, let us know what you think of this high-profiled crypto flick. Will you go and see the Crypto movie with Kurt Russell?